Spend some time with Department of Juvenile Justice employees Jeff Arnold, Internal Policy Analyst II, and Sylvia Kuster, Curriculum Specialist, learning about the DJJ Work Adjustment model and its integrative approach on vocational, educational, and individualized treatments/transitions. Later in these training resources Kuster provides additional information in regard to the Kentucky Core Content and DJJ Curriculum Models. The models are analyzed on a basis of all the state documents and an integration of career documents and career abilities needed for youth to be successful. Contact Sylvia Kuster, Curriculum Specialist, for a copy of the DJJ WAM Video on CD. Mary Salsman-Buckley presents the Work Adjustment Model to the KCSS Board Members. A powerful lesson discussing how to incorporate and recognize learning styles that are encountered in our facilities everyday. A powerful presentation by Sylvia Kuster, Secondary and Post-Secondary consultant for the Department of Juvenile Justice, which introduces the classroom teacher to the Kentucky Core Content and the Department of Juvenile Justice Work Adjustment Model (WAM). 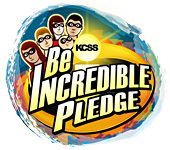 Note that Ms. Kuster references the "KCC and DJJ WAM Core Content" materials which you may wish to download and print from the "Downloadable Resources" section below before viewing. Take time to view Bruce Jennings powerful answers and comments involving the counterbalance of staff turnover, handling of staff/student communications and utilizing small teamwork steps to get to a big finish. Additionally, there is a discussion of the balance between experience and grading. Printable Resources provided by the Department of Juvenile Justice to give you more information regarding the Work Adjustment Model. There are sample lesson plans as well as copies of both high school and middle school curriculum. **Please note that all videos above are best viewed over a broadband or other high-speed connection -- be patient with the loading process!